A fascinating insight into the wines enjoyed by British politicians and visiting heads of state have been revealed with the release of tasting notes for No. 10’s £3.2m wine cellar. 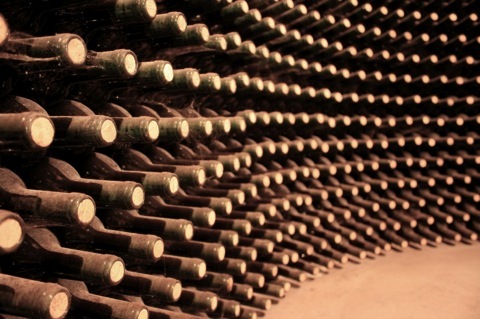 A 61-page document lists the 36,527 bottles held in the Foreign Office-administered cellar beneath Lancaster House in central London, according to a report by The Independent, revealing a collection that includes some of the world’s most sought-after wines from Château Lafite to Krug. Last year thedrinksbusiness reported on the cellar’s tasting notes from 2012 which saw Obama served a “soapy wine” during a state visit in 2011. The re-released notes show a rise in the value of the cellar from a reported £2.95m to £3.2m. Worldwide austerity does not seem to have stunted Downing Street’s thirst for wine with Government Hospitality, which runs the cellar, serving up 5,547 bottles – a 20 per cent increase on 2011-12. This was apparently due to the increased gatherings of political figureheads driven by the London Olympics and Paralympics, and the Queen’s Diamond Jubilee. The most popular claret served last year – 55 bottles of the 1988 Château Pichon-Longueville Baron – is described in the notes as “downgraded to B and thought aggressive – no hurry to use”. The cellar, taxpayers’ will be somewhat pleased to know, now operated on a self-financing basis, following a review in 2010, selling off valuable wines to buy new stock. In 2013, 54 bottles of high-end claret, including a case of the sought-after Château Pétrus, were sold for £63,000 to fund purchases of nearly £49,000 worth of wine for future banquets.